Coming off the back of a dark year for smartphone design, the View20 is a reason to be optimistic. Notched phones have never been aesthetically pleasing nor functionally ideal, but thankfully that design trend is on its way out. We’ve seen a number of novel attempts to produce bezel-free phones, including sliders and motorized pop-ups, but a few of the big players have decided there’s another way. 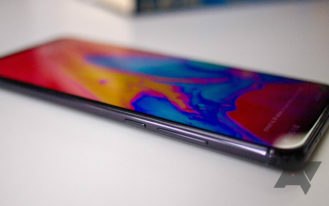 Samsung’s upcoming flagship Galaxy S10 series will most likely feature hole-punch cutouts in the screen — an Infinity-O display to use the Korean company’s terminology — and there will also be handsets from Nokia, Motorola, and Huawei using similar panels. While Samsung’s practice run, the Galaxy A8, was first to market with such a cutout, the Honor View20 is a far more refined example. I got it in my hands for the first time yesterday and am impressed with it so far, especially with the display. 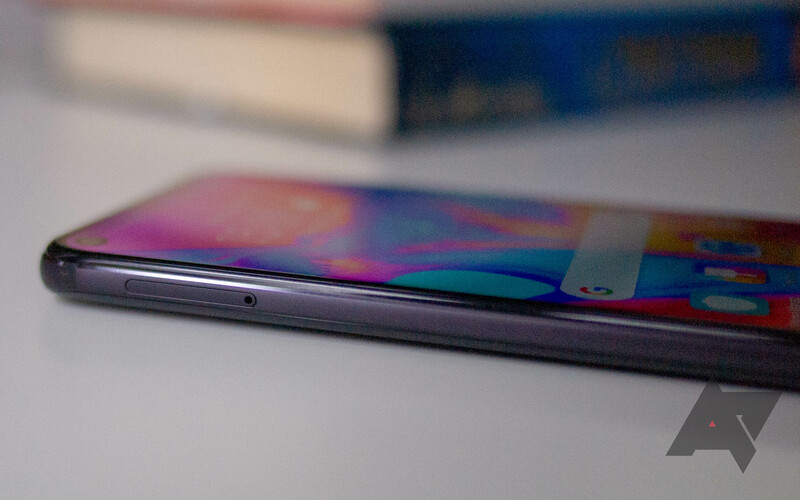 The camera hole is just 4.5mm in diameter, the chin is minimal — this is about as close as you can get to a bezel-free display while retaining an always-there front camera. Stepping out from the shadows of its parent company Huawei somewhat, Honor is in the process of rebranding and is now using its own Magic UI instead of EMUI (although functionally and worryingly similar). 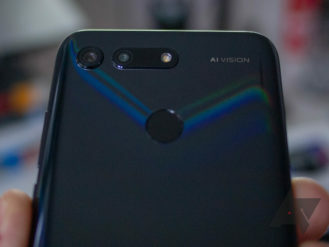 The View20 is its flagship phone, and as such gets Huawei’s top-of-the-line Kirin 980 chip and all of the AI features that come with it. 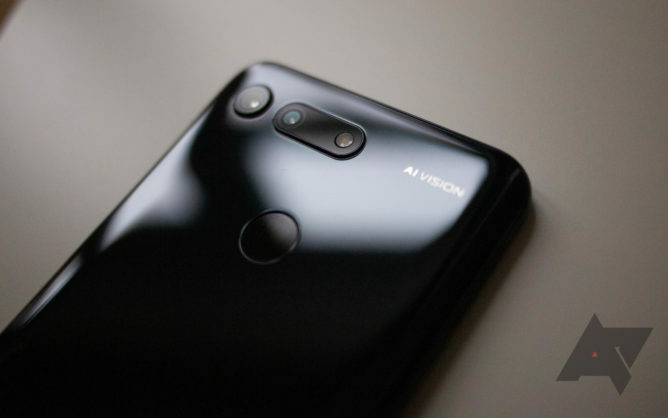 It’s also one of the first phones to ship with Sony’s new 48MP camera sensor, alongside a secondary 3D TOF module. Two RAM/storage variants will be available: 6/128GB or 8/256GB. One big selling point will be the beefy 4,000mAh battery with SuperCharge capability (promising 55% from 15 mins). 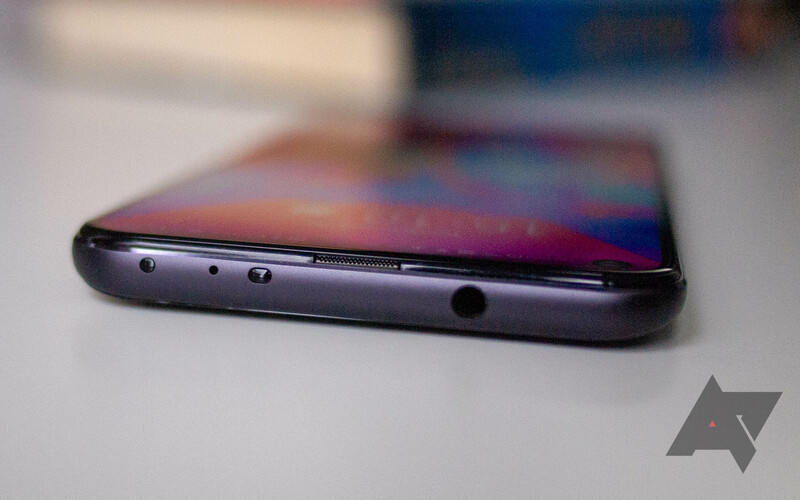 Another decision sure to be very popular: the inclusion of a headphone jack. More elegant ways around a camera cutout are likely just around the corner, but for the time being, this type of display will do just fine. 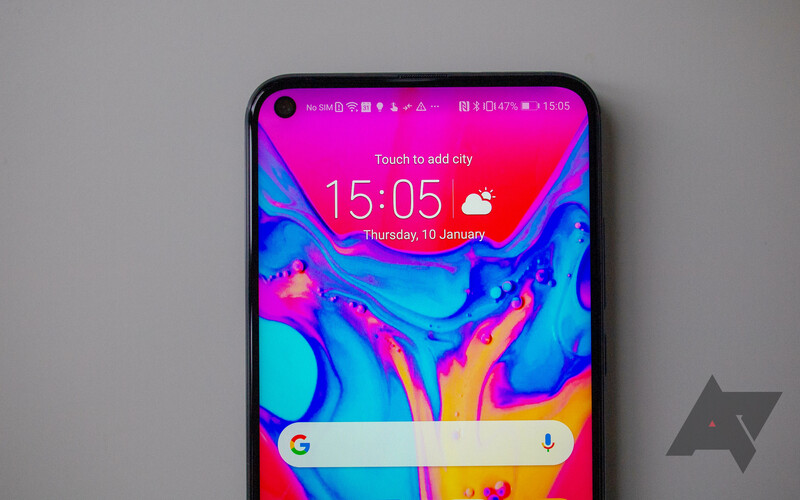 It’s not dramatically different to a waterdrop notch in terms of screen real-estate, but it’s arguably better looking. I’m finding it almost unsettling having so much usable status bar space again and the cutout doesn’t seem to be that off-putting next to most notched displays. Time will tell whether that stands up in regular use, but I think it’s promising. 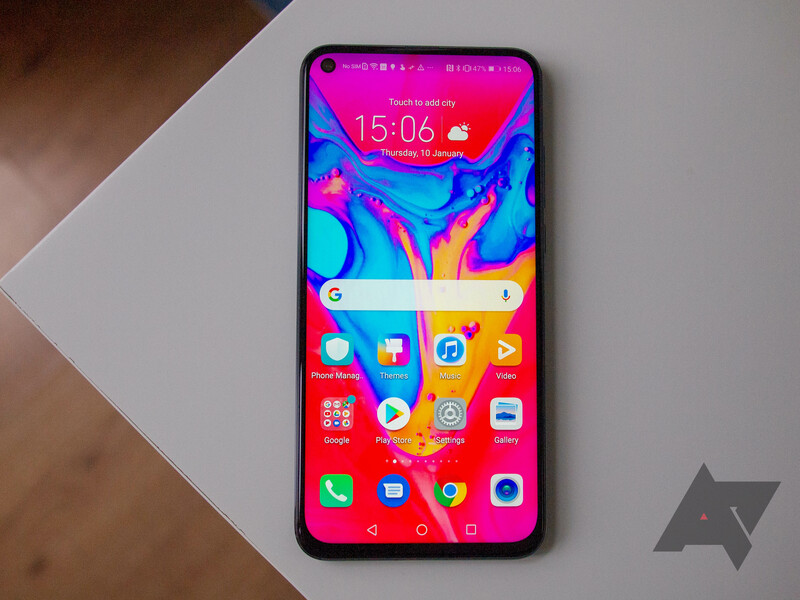 It’s worth noting that this is not an AMOLED panel, but rather a 6.4″ IPS LCD. You may lose those deep blacks and always-on display features, but it looks perfectly fine. 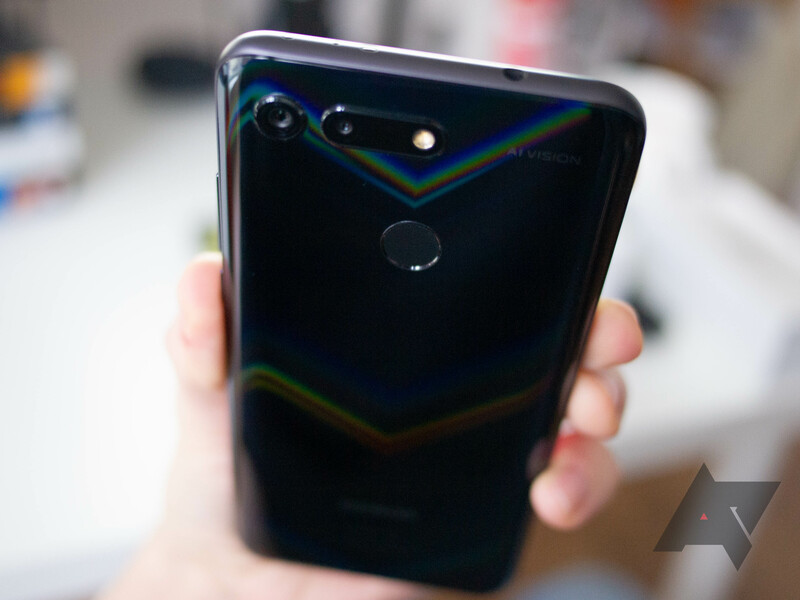 The rest of the hardware is well put-together, with a slim aluminum frame and a glass rear with an intriguing “aurora nanotexture” that produces a shimmering V effect depending on how you hold it in the light. 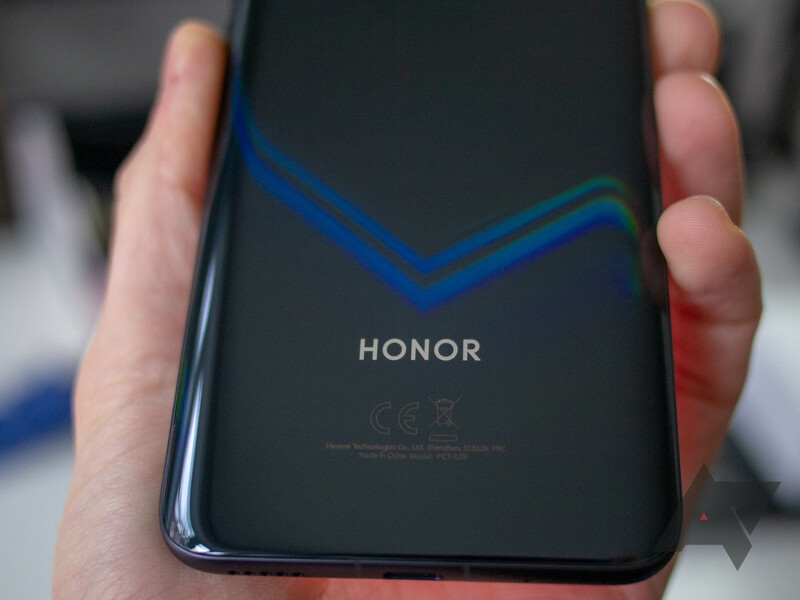 This is more pronounced on either of the two blue models, but I like the subtlety on this black one — it’s more fleeting than these still images suggest. The phone feels light in the hand and is considerably smaller than something like the Google Pixel 3XL despite having a marginally bigger screen. 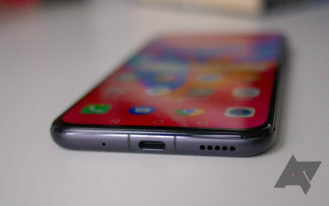 A thin earpiece is crammed into the top bezel, and there’s an IR blaster on top next to the 3.5mm jack. The usual buttons are in their usual places, and there’s a single downward-firing speaker on the bottom next to the USB-C port. 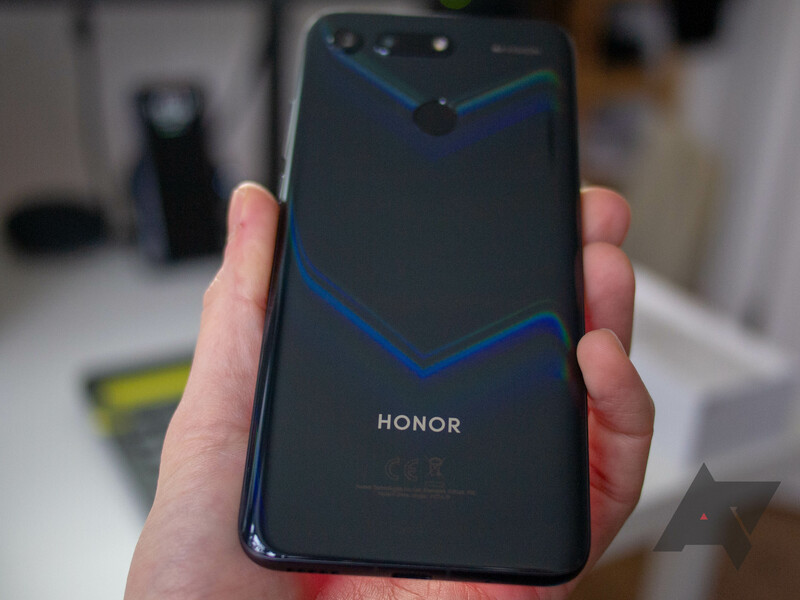 We don’t yet know what the pricing will be, but Honor phones are often great value for money. Its predecessor, the View10, competed admirably with the OnePlus 5T on features and price and will likely seek your consideration in the same bracket this time around. It’s clear to see where costs have been cut here — older biometric options, single camera, no wireless charging — but many of the features it lacks will be unimportant to a lot of potential buyers. 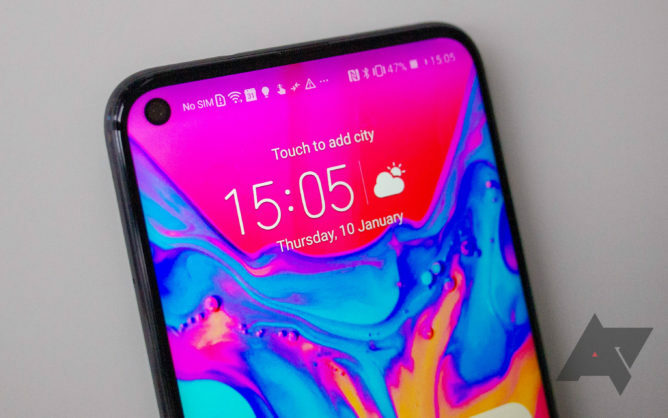 I’m quite happy with a rear fingerprint scanner, for example, since in-display sensors are still less consistent, and you can’t yet have secure face unlocking without a sizable bezel or notch. It looks as though Honor has built a device with a decent mixture of tried and tested features alongside cutting edge elements such as the display, camera, and processor. I’m excited to spend more time with it. The View20 will officially launch in Europe at an event in Paris on January 22nd, so look out for our full review then.